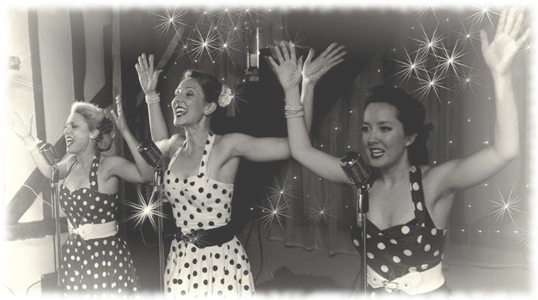 The Polka Dots bring you a modern twist on the classic 1940s & '50s close harmony. Be it acapella, with bespoke backing tracks, or supported by the 6-piece Dashes band, with a solid, smooth sound, extensive range of songs, on-stage wit and bewitching charisma, The Polka Dots can be booked as a duo or trio and guaranteed to get your guests 'In the Mood' to celebrate. So, whether you are looking for a group of hard-grafting Land Girls or cheeky glamour pusses, The Polka Dots will explode onto your stage and give your event the WOW factor!